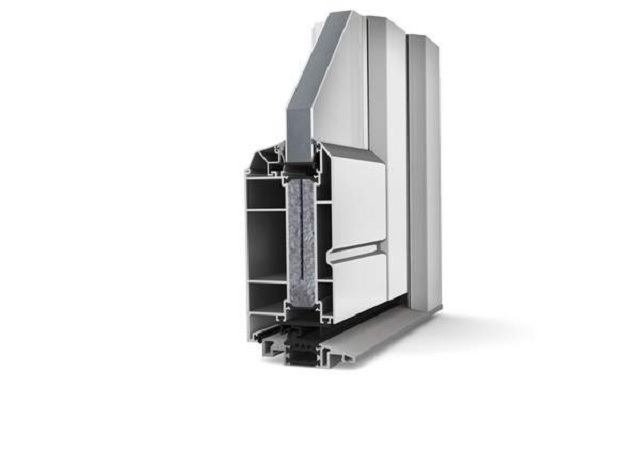 Aluminium entrance door, featuring a profiled door leaf inside and outside which can optionally be manufactured square-edged. Burglary protection is provided by standard multi-point locking with hook bolts and the extremely strong door leaf. The three-chamber frame profile and foam insulation core ensures high thermal insulation. The door hinges are three-dimensionally adjustable, construction depth is 80 mm. Up to ten-year warranty - consult manufacturer for details. Thermal insulation: As low as 1.2 W/m²K. Sound reduction: Up to 40 dB.